Product prices and availability are accurate as of 2019-04-14 10:34:34 EDT and are subject to change. Any price and availability information displayed on http://www.amazon.com/ at the time of purchase will apply to the purchase of this product. 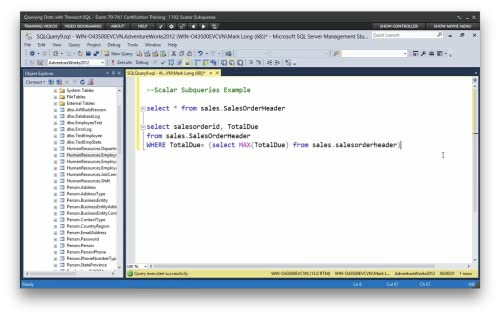 Microsoft's SQL Server database platform is dominant in the enterprise database marketplace, making those with MS SQL Server skills highly sought after in any job market. 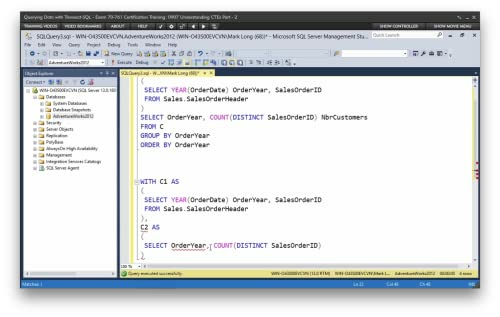 Possessing a Microsoft Certified Solutions Associate (MCSA) SQL 2016 Database Development certificate tells employers worldwide that you have these skills. Earning the certificate requires you to pass two exams: The MS 70-761 and the MS 70-762. 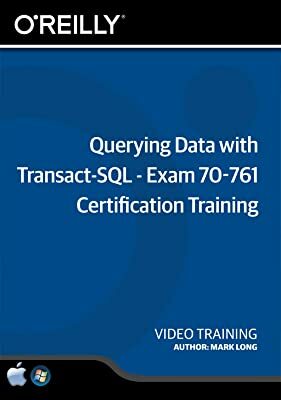 This course prepares you to pass MS 70-761. 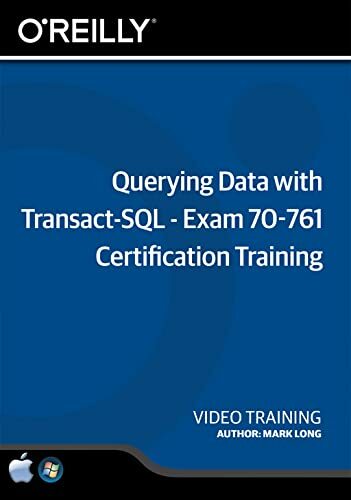 MS 70-761 is all about Transact-SQL, the programming language central to working with MS SQL Server. 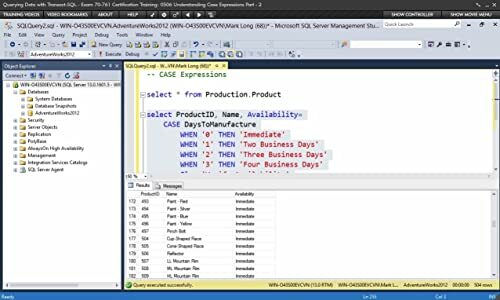 Designed for those relatively new to the world of MS SQL Server, the course covers the basics of database development and then moves into an easy-to-understand, step-by-step, detailed presentation of how to work with Transact-SQL. 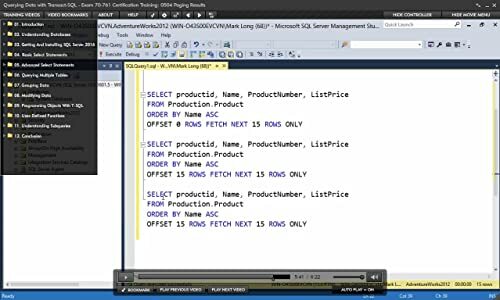 This course features lots of hands-on coding with plenty of animations, photos, and screenshots all designed to help you grasp Transact-SQL's underlying concepts and technologies. Mark Long is a long term contributor to O'Reilly Media having authored more than a dozen book and video titles including CompTIA Security+ SY0-401 (2014 Objectives), Windows Presentation Foundation Basics, Learning Windows PowerShell, and Securing Windows Networks. He solves IT issues for numerous Fortune 500 companies as the head of his own consulting company. 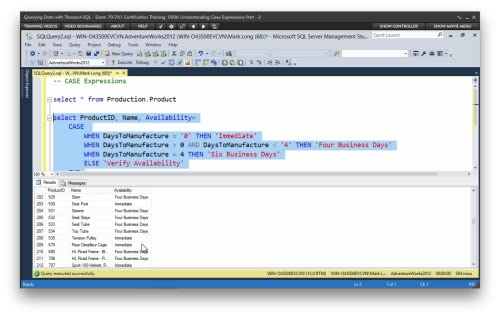 Mark holds the A+ certification and many others, including Microsoft's MCSE, MCDBA, and MCT.